We live in a tumultuous media environment. There is widespread confusion, uncertainty and awe at the inventiveness of the thousands of people in media networks who innovate, copy, tinker, recycle, produce, remix and relay. 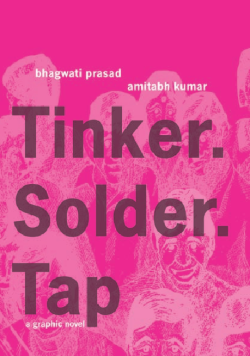 The protagonists of Tinker.Solder.Tap bring alive the ways in which the relationship between life and the media has been re-scripted in the various neighbourhoods of our cities. 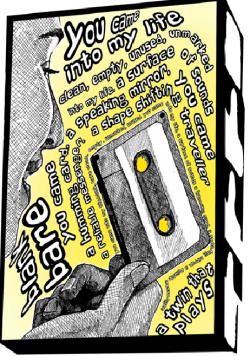 The story begins in the mid-80s, when a man returns home with an object called a VCR. The chain of effects that follows transforms irreversibly the social life of the neighbourhood and its reverberations can be felt all over the world. Published by The Sarai Programme, CSDS, Delhi. This work is part of the project, “Social and Material Life of Media Piracy” of Sarai-CSDS and Alternative Law Forum (Bangalore) supported by International Development Research Centre (IDRC), Canada .